Beatrice SC was founded by a group of Arts & Sports loving friends hailing from a small town in Kerala called Thalassery (തലശ്ശേരി) also known as Tellicherry. Thalassery is a land of sports. The municipal stadium at Thalassery is the place where Cricket was first played in India. Thalassery has produced plenty of national level and state level players in Hockey, Basketball, Volleyball, Football, Cricket and you name it, in all kinds of sports and games. The people of Thalassery are well known for their love for Arts and Sports and these bunch of friends during the year of 1975 had no second thought in deciding about opening the Sports Club. 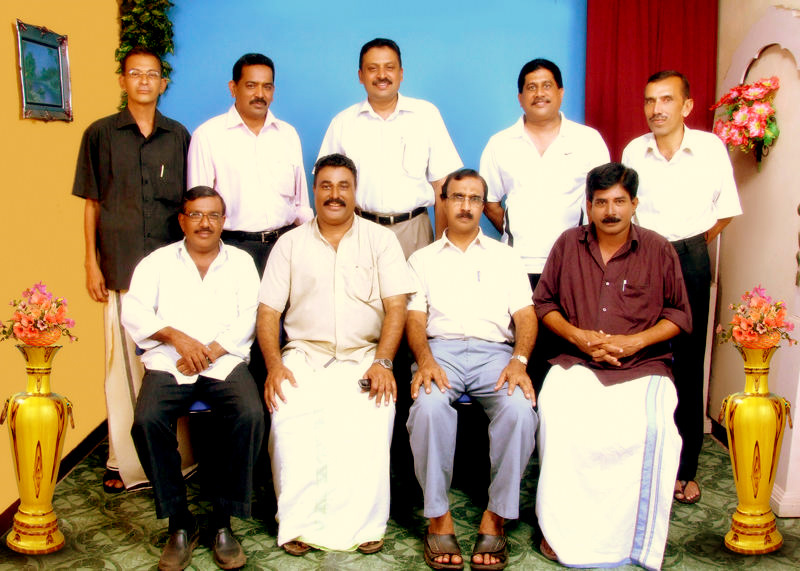 The founder members were a bunch of enthusiastic and tremendously passionate people about the game of Hockey, Basketball & Volleyball which were one of the prime games played at Thalassery. The name “Beatrice” was given to the Club as a token of respect to a favorite teacher of the founders who taught them at the Sacred Heart High School, Thalassery.The Club got officially registered in the year 1977. During the website inauguration day we had the pleasure to reconnect with a few of our founder members. 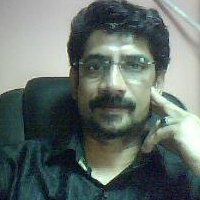 This is a picture which was taken during the website inauguration reunion period. Another significant reason for the Club’s progress during its initial years was the tremendous support of its patrons. These were the Founder Patrons of Beatrice SC. Beatrice Sports Club has been fostering sports and developing talents for the past three decades. Beatrice Sports Club’s primary mission is to create opportunities for members to play team sports together where they can learn essential skills in ways that are consistent with best practices in athletics. Beatrice SC, which was registered in 1977, is an organization that has been fostering sports and developing talents for the past three decades. The Club’s primary mission is to create opportunities for members to play team sports together where they can learn essential skills in ways that are consistent with best practices in athletics. As generations have gone by, we have faced tremendous challenges that have contributed towards our strength. Today, we have emerged as the winner, which is nothing but a reward for our consistency. Our march continues with determination to succeed by creating an environment for the growth of sports and games. We believe in team work and we will reach greater heights with the support of all our members and well wishers. We are a club performing with the people, by the people and for the people holding a single motto of developing sports and games, and that’s what makes “Beatrice Sports Club” incomparable. Please check out Beatrice India / Beatrice Global for more information. During September 2010 we got a chance to speak with two of the founder members of the club, Mr. Mohamed Nizar A.P.M. and Mr. Sayeed Oliyath What an evening! powered with nostalgia as they remembered. To pen the history of a club which has been inspirational over three decades, which had won a bunch of titles in all participated sports and contributed a number of path breaking sports personalities is a mammoth task. So we approached one of the prominent figures of the club, Mr. Azad Maliyekkal for a talk around the serenity of Diera Corniche, to know how it has been being part of Beatrice sports club right from the start.As we started discussing sports in Thalasserry and how Beatrice was founded, Mr. Azad recollects, “The Club was formed by a group of collective friends during late 70’s for music and sports. Everybody from the group had passion for entertainment and that was the driving force.The club was initially named as ‘Beat Ventures’ and the main activity during that period was late night music. 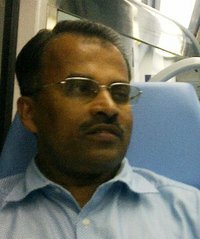 He is one of the founder members of the club, known for his stylish dunks and often referred to as ‘Beatrice all-time favorite star’.Having represented Kerala State for Basketball, he has always been a role model and motivation for the generations that followed.His contributions to the club as founder member, player, team coach & manager has been phenomenal and one of reason behind clubs stupendous success.Currently, he is the Beatrice Global Director for Relationship & Marketing based out of Dubai.